Home / clouds / grand canyon / mountains / north america / usa / weather / This Rare, Beautiful Phenomenon Is Called Full Cloud Inversion... And You Must See It! This Rare, Beautiful Phenomenon Is Called Full Cloud Inversion... And You Must See It! 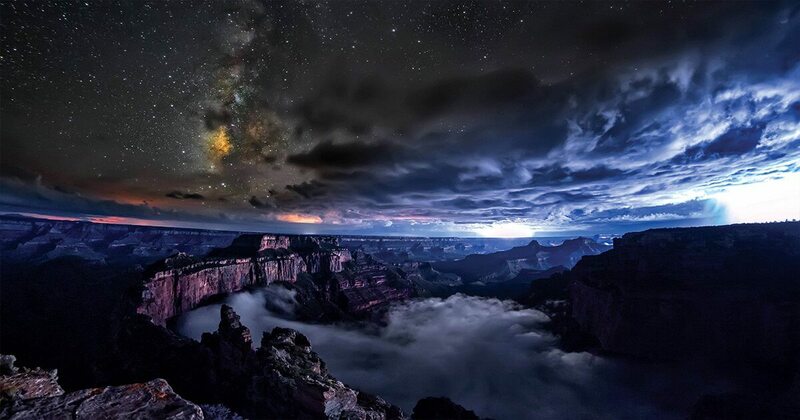 In what looks like something between ocean waves and fast-moving clouds, the Grand Canyon is entirely obscured by fog. This spectacular phenomenon makes visitors feel like they are walking on clouds. Below you can see the beauty of nature in all its glory. Image credits: Photography by the SKYGLOW Project.